French dance shoe & leather goods company Repetto has launched Dance with Repetto Floral, a new fragrance for women. Dance with Repetto Floral is a flanker to 2018's Dance with Repetto. Notes for the fruity floral include lemon, cassis, peony, magnolia, blond woods and white musks. 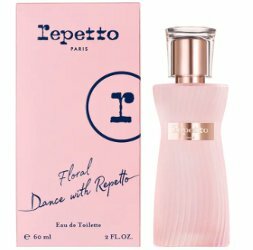 Repetto Dance with Repetto Floral is available in 40 and 60 ml Eau de Toilette. That bottle is cute as a button. Too bad the scent sounds a bit pale for my tastes.